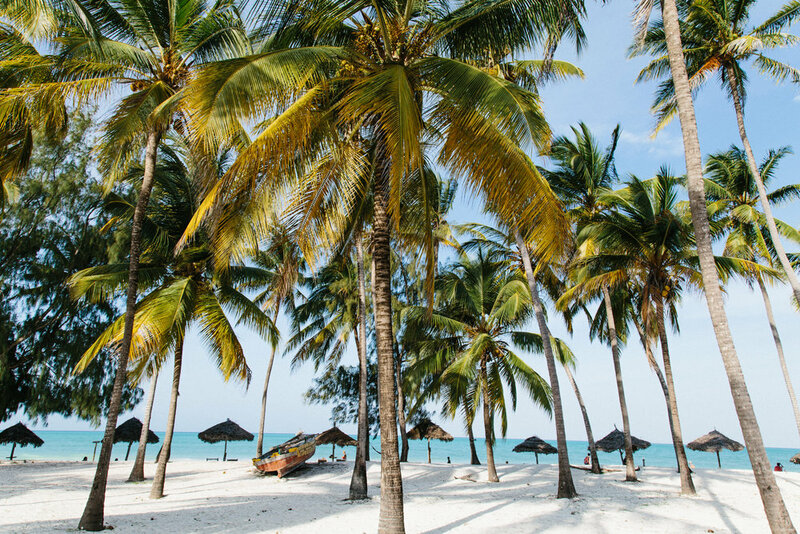 Pristine white sand beaches, colorful coral reefs, endless spices, a varied culture and name that commands curiosity - Zanzibar is an East African island full of beautiful contrasts. I first learned about it several years ago (see here and here) when my Mom was planning a visit for a work conference. I flew stand by for over 24 hours from the US just to spend 3 or 4 days on the glorious island and essentially crashed the conference. Though extremely short, the experience left a major impression on me back then and was one of my first inspirations for starting this website. Fast forward a few years and not only was I able to come back and spend some real time (I stayed just under a month for this trip) soaking everything in and doing all the things I didn't get a chance to do the first time around, but I came in partnership with Summersalt - so I wasn't piggybacking on someone else's trip. 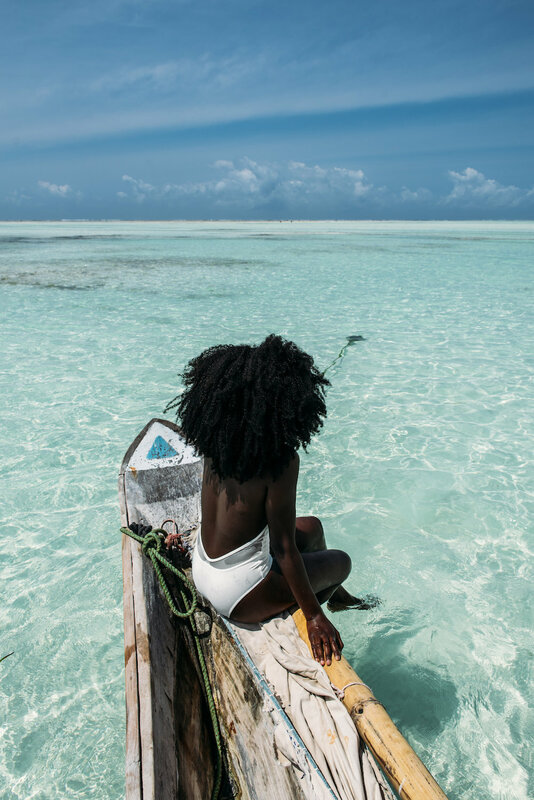 If like me you're a foodie, culture lover, and adventurer but still enjoy beautiful beaches you can relax on, Zanzibar is definitely for you. Read on to get some of my highlights and get inspiration for your own visit. 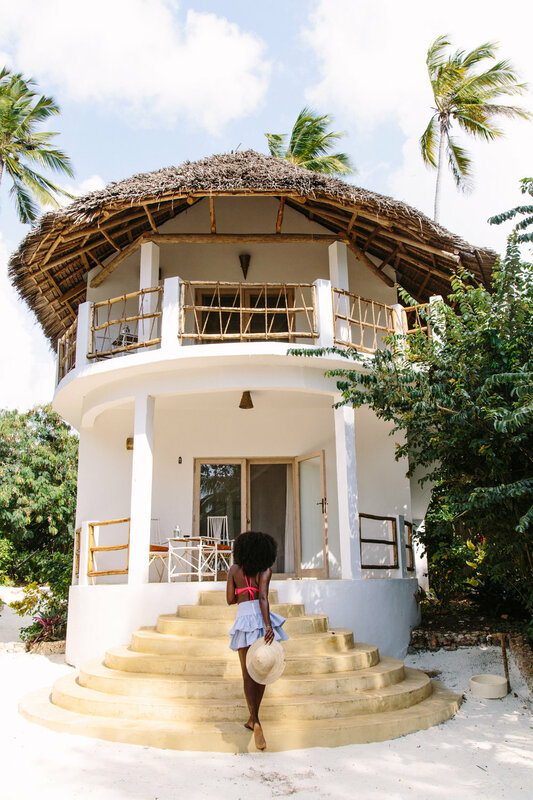 I started my adventures in Stone Town (read my city guide here) where I spent about 4 days exploring the old town as well as planning a few day trips to a few nearby islands like Chumbe or Prison Island. 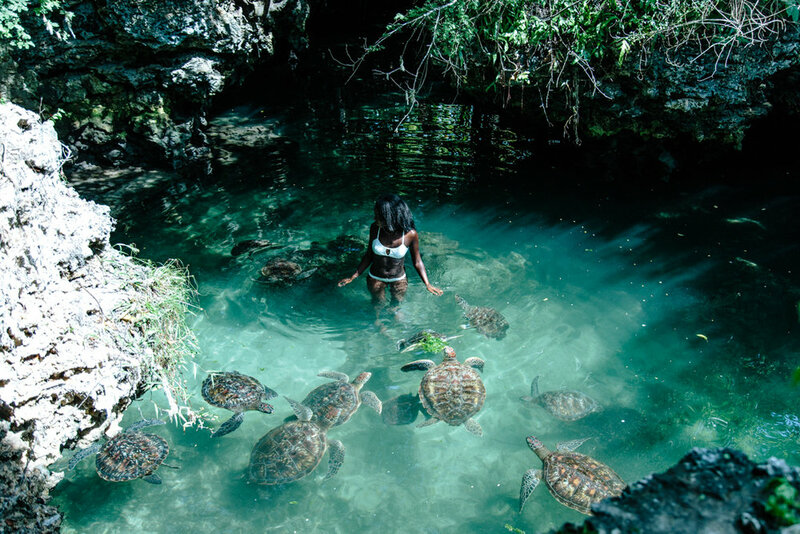 Prison Island is known for being home to over a hundred gigantic tortoises that you can interact closely with, while Chumbe Island is a small private island known for its ecological innovation and exceptional coral reefs. I would also recommend an excursion with Safari Blue which is a company that organizes really amazing group day trips to various isolated sandbanks, rugged island scenery, uninhabited islets, pristine marine life and crystal-clear turquoise waters. Stone Town is also where I learned about so much about Zanzibar's history and culture here, so I highly recommend that spend some time here if you have the capacity. Insider tip: There are no ATM’s outside of Stone Town (and if you do find one - they might not have enough cash or will be very expensive with high exchange rates). Try to get as much cash as you can while here before exploring other parts of Zanzibar to avoid getting stranded. Don't rely on using your cards while here. 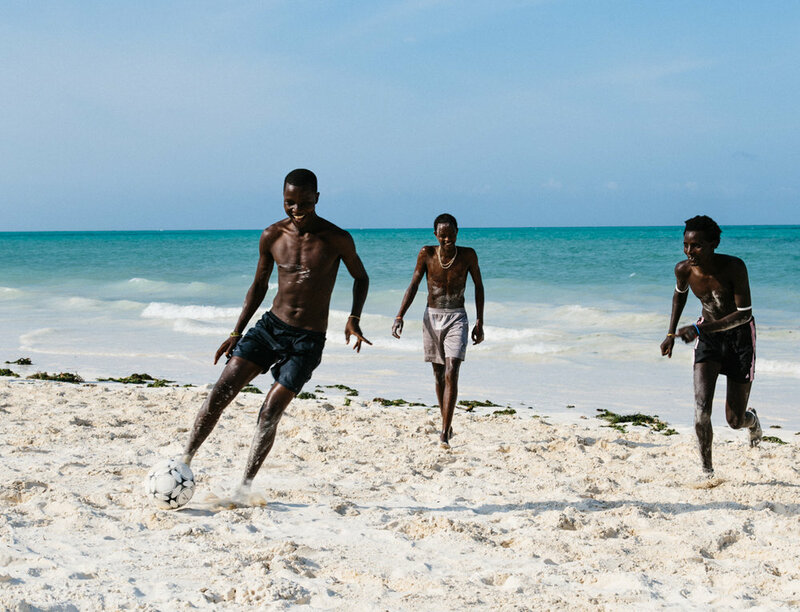 Jambiani is on Zanzibar’s east coast and was excellent for beautiful, quiet beaches that still had options for cultural experiences. 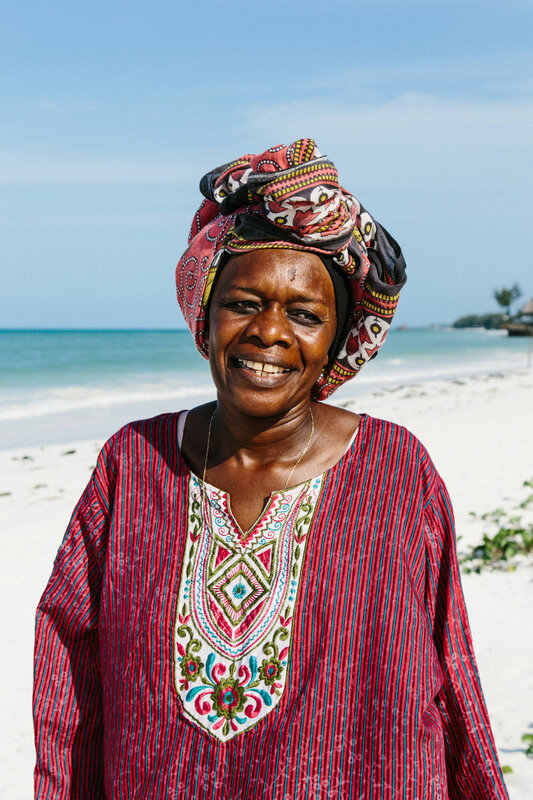 When walking along the beach, I mostly encountered local men and boys playing football or women dressed in colorful fabrics also walking or in the water seaweed farming during low tide. I think Jambiani is a great area if you want to take it easy in one of the many cozy boutique hotels. My friend Yagazie and I stayed at Sharazād for about 3 days and had a fantastic time. A stone's throw away from Jambiani, Paje is where you come to turn things up a few notches. It's famous for adventure activities like kitesurfing and beautiful white sandy beaches. The sand goes out as far as the eye can see during low tide and the way the turquoise water glitters in the afternoon is unlike anything I can properly describe. I have never seen a more beautiful beach in my life, making it one of my favorite parts of Zanzibar. I stayed here for off and on for about a week because it's a great base for fun excursions and exploring several of the other neighboring villages. 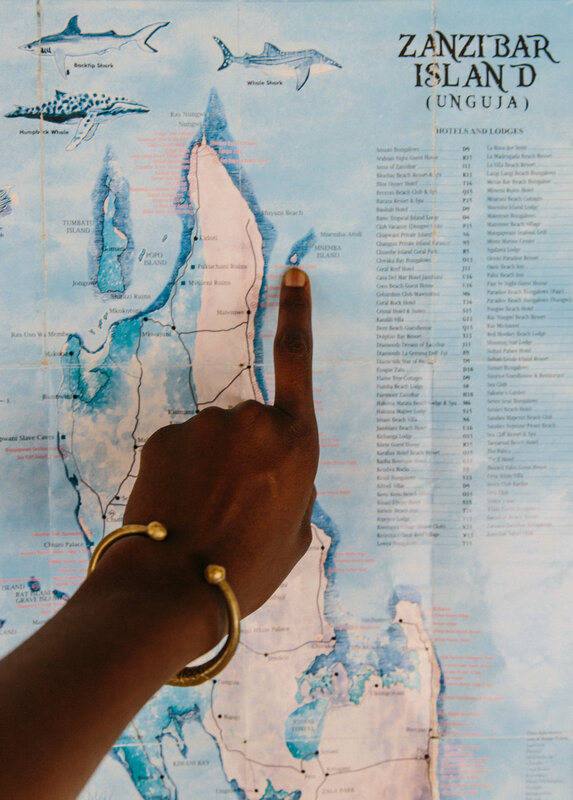 Thanks to my Zanzibari friend Nasrin who lives in this area, I was able to go sailing with a fisherman on his traditional dhow boat and explore the coral reefs that are pretty far out. 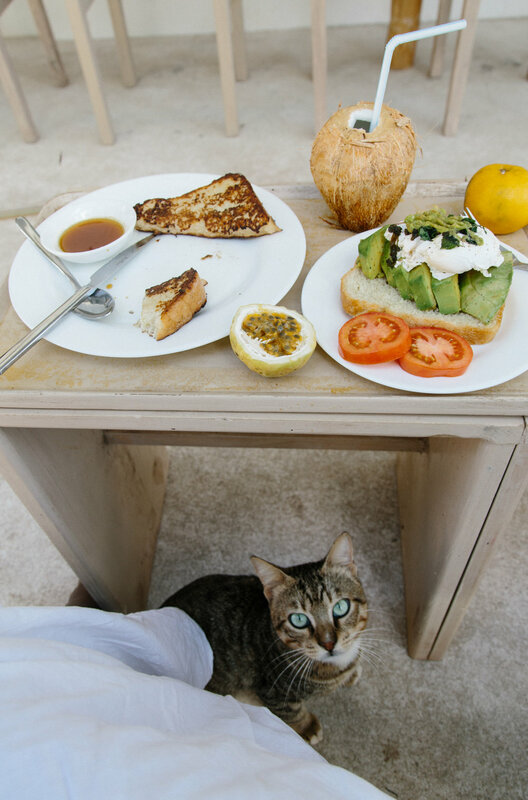 A few other highlights from my time here were taking surf classes, enjoying nighttime beach parties, and eating fresh caught seafood and sipping on cold coconuts. If you like snorkeling, Paje is also a great place for that. Insider tip: Make sure you buy some reef/swim shoes during low tide or doing any water activities like surfing, kitesurfing, or just exploring during low tide. While the water is incredibly clear and gorgeous, there are quite a bit of sea urchin. Also, if you happen to find some star fish when it's low tide, be free to admire them but be sure to put them back in the water. To be honest, I was very conflicted about photographing the Maasai while there. Not because they aren't stunning - they are obviously captivating - but because I don't want to "other" them. 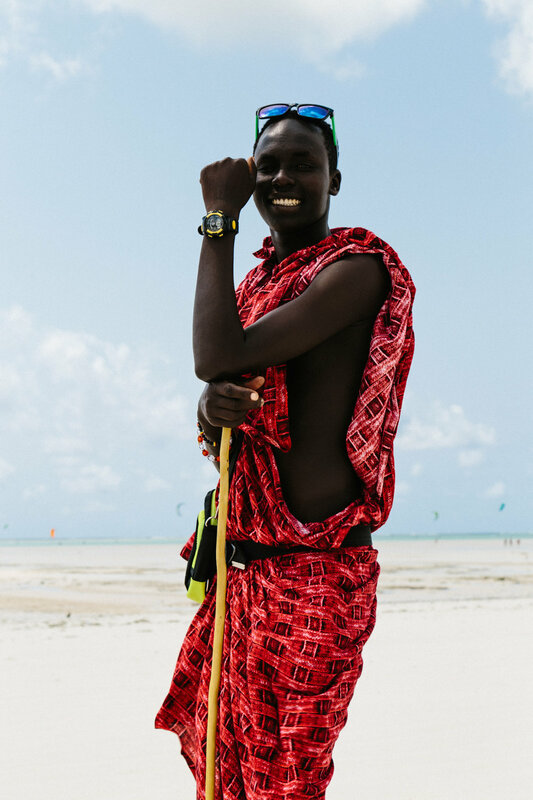 A few that I met traveled here from Arusha just to be able to make money from tourists that are intrigued by them; ready to jump on demand and answer questions about their culture in the hopes that travelers will buy goods from them. I'm definitely not against that (it's their own choice to do as they wish with their bodies and culture after all), but it did make me think twice about if I was helping or hurting by engaging. I don't know the answer yet, but it has been very fun having genuine interactions with them. Anyway, meet Moses and Antone who insisted I take their photo after they spotted me with my camera while on a walk one morning. When I think of Zanzibar, it's hard not to first think about this surreal place. As the name suggest, this restaurant on Michanwi Pingwe beach is a cozy little house built on a rock in the Indian Ocean. 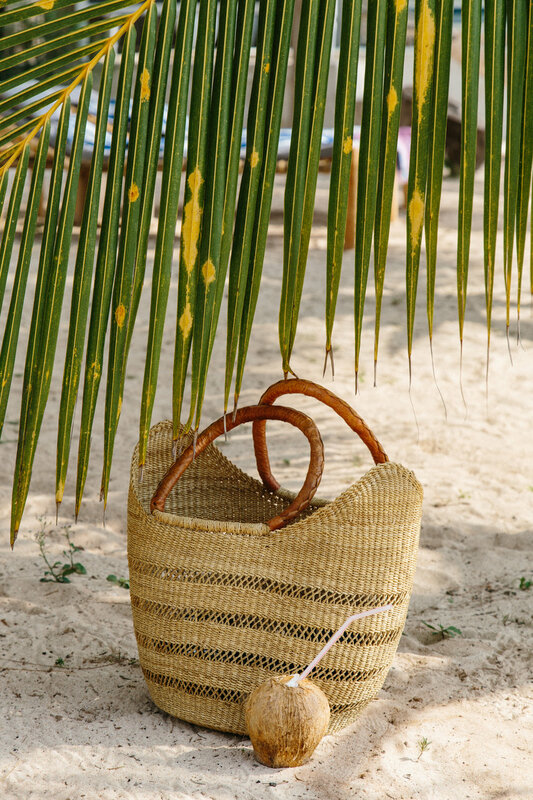 It's only a few miles away from Paje, so you can easily take a taxi, catch a local dala-dala, or ride a bike there. 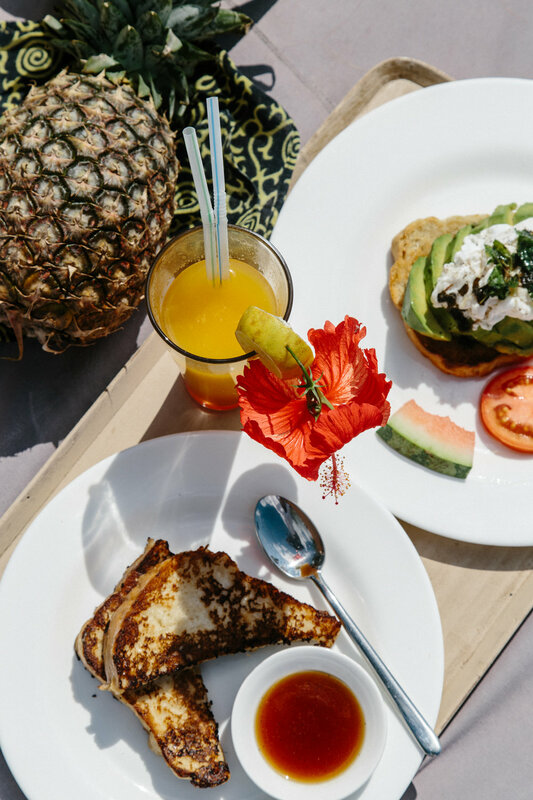 I recommend you call ahead and make a reservation just to make sure there is space (there are only 12 tables inside, with an outdoor terrace) and plan your arrival around the tides because they make a huge difference. During low tide you can easily walk to the restaurant, but during high tide you have to get there by boat, or swim. I visited about 4 times during varying tides and think it's most beautiful when the tides are higher. When it comes to the actual restaurant, the food is overpriced (but still delicious - seafood doesn't get more fresh than this), but I still thoroughly enjoyed my meal on the terrace watching the ocean and tides change. But to be honest, you're better off eating at any one of the nearby restaurants on the beach, then coming here to enjoy a wine or cocktail while enjoying the view and experience. I then headed up to the northern part of the island in Nungwi for a bit of luxury and some once-in-a-lifetime underwater adventures. This is where most of the luxury resorts and isolated pristine white sand beaches are in Zanzibar. I would recommend about 2-3 days (or more!) to give you enough time to experience of the best activities the island has to offer. 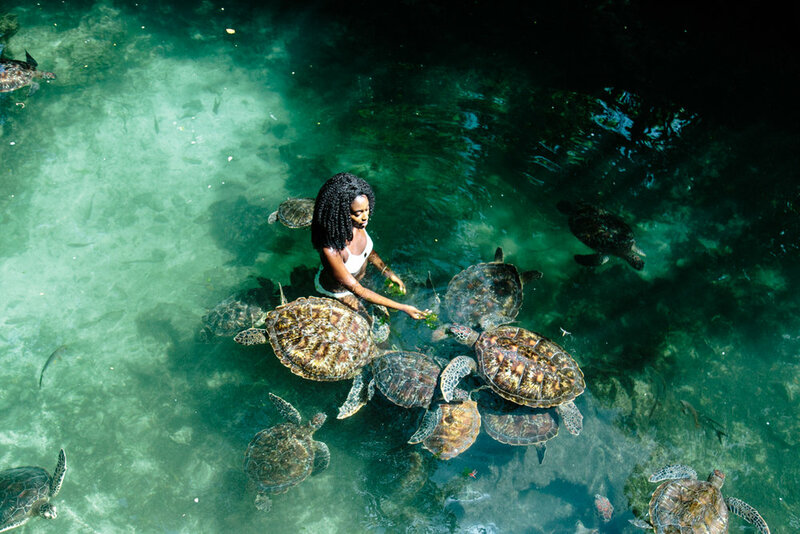 Definitely don’t miss out on a day trip to Baraka Natural Aquarium to swim with rescued and rehabilitated turtles that are accidentally caught up in fishermen's nets (I went two days in a row - I couldn't get enough). Since this is a natural pool, I again recommend going when the tides come in slightly so you can make the most of the experience. It only cost about $10 USD for each entry and I was able to stay all day. It was so surreal to be able to feed and be surrounded by these curious and gently creatures. Probably my favorite memory from the trip! Another highlight for me was going snorkeling at the Mnemba Atoll for the most beautiful reefs and breathtaking reefs and getting to swim swimming with playful dolphins nearby. When choosing to go swimming with dolphins, I encourage you to please choose to do so in Nungwi and not Kizimkazi where the animals are typically chased in very unethical conditions. Planning your first trip to Africa? Get my guide book below for all my detailed tips on how to plan and prepare for modern adventures through Africa.